New Delhi, April 9 (PTI): India on Thursday confirmed that the Maldivian Defense Minister Maj.Gen. (Rtd) Adam Shareef would not be participating in the coming Defense Expo from April 11 to 14. . 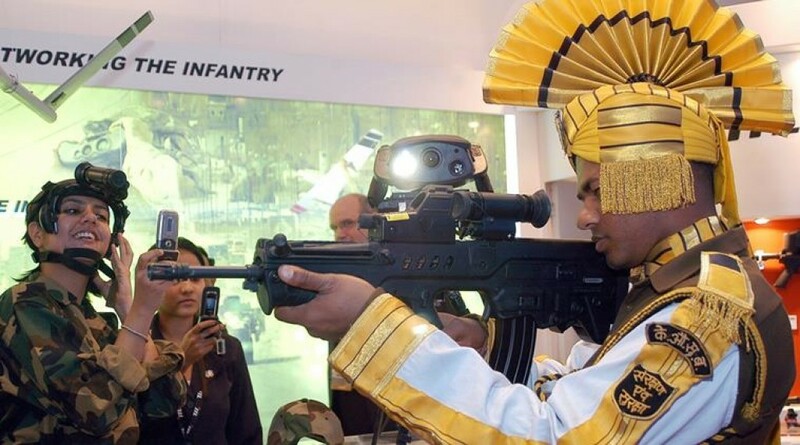 Though India, the south-Asian giant, had extended invitation to take part in the expo which is set at Tiruvidanthai, south of Chennai, the Maldives had politely declined saying that its Defense Minister had already planned official trips to other parts of the globe around the same time. India had also extended invitation to China. But as on date, there has been no response from that country. The expo will have 677 different entities showcasing their product lines and inventories. Among the participants 154 corporations are weapons manufacturers while a total of 47 countries have dispatched their official delegates to the convention. “This includes 18 ministerial level delegate groups as well,” a top ranking Indian official said. Thee will be a 10% increase in participation as compared to 2017. Earlier, the Maldives had not responded to India’s invitation to participate in military training that took place in Andaman and Nicobar Islands – an island archipelago under India jurisdiction, situated in the Bay of Bengal. Maldives had excused itself from sending troops for training since Maldives was under a State of Emergency at the time. Though both countries had made official statements to loosen political ‘stiffness’ between them, it is evident that India’s strong reiteration of the need to implement the Supreme Court’s order on February 1 had harmed relations between the two nations. There were also reports that the Maldives had requested New Delhi to take back one of the two helicopters it had gifted to the country.